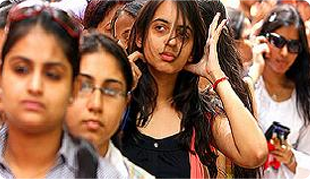 Once the inescapable ordeal of the class 12th board exams is over, the scramble for college admissions begins. Admissions to a lot of courses are dependent on the choice of stream after class 10th, thus the choice of stream can make or break the admissions dream. With the mark sheets of the board exam in hand, the dilemma between the course and college begins. Is it the course or the reputation of the college that helps one achieve the career choice of their dreams? The essay for college admissions or the statements of purpose that many institutions require for admissions also demands a clear cut outlook on why one has opted for admissions for a given course. Career choices depend heavily on the degrees one has achieved, but these degrees don’t prevent the risk of becoming “career misfits” or being in the profession that does not suit the inherent aptitude, potential and the personality of the individual. All these challenges that students face today regarding admissions can be tackled if one is aware of one’s own interests and inherent abilities are known to them. The earlier a student realizes his aptitude and personality, the better. Aptitudes cannot be learned, it is inherent. Not realizing this inherent spark, leads to a majority of students getting stressed out with their choice of courses, and later on their job profiles. Opting for degrees based on its popularity or the apparent job market value does not always reap in the expected rewards. One must take time to gain information on their preferred career choice and their own inherent strengths, to make the most apt career decision. A job is satisfying and rewarding, when one is able to naturally perform well in it. This pleasure of enjoying one’s work comes only when it matches the inherent capabilities, and it effortlessly translates into professional success and immense satisfaction and contentment. So, before you get into the rat race to grab the college or the course of your choice, step aside from the ‘herd’, analyse yourself with the aptitude tests and career counselling sessions and unearth your true potential and interests. MapMyTalent offers one such aptitude test which is a scientifically developed test and which helps the student in knowing their inherent strengths. This information is used by the career counselors to guide the students towards their “best-fit” courses / careers, and helps the students in building the RIGHT career path.